The dresser we are trying to match. Remember the day of moving the organ into the spare bedroom? (Look at this blog post. A word to the wise) Now I am looking for another dresser for that room. Easy, right? Just go to a furniture and pick one out. Done. Or not. You see, we first thought we could just go buy another one to match the lovely quality oak Bassett dresser that is in the bedroom. No such luck. We went to the store where we originally purchased the dresser and many other items for our home. Nothing in oak. We thought we might be able to order one. The store actually had a record of all of our purchases over the years. It turns out that we bought the dresser in 1998!! 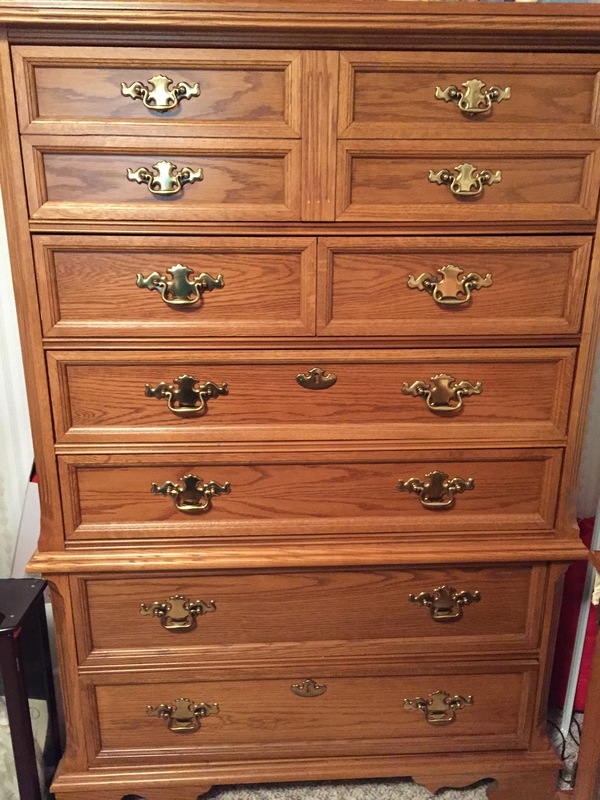 Our dresser is 17 years old and is in perfect shape! The bad news – they do not make them anymore. So the kind salesperson gave us the model number, style, company name, etc. so we could go searching. We started searching on the internet. 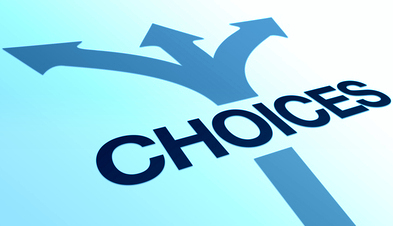 While there are many choices, none of them are exactly the same. So we headed out to some furniture stores. Not much luck. Most of the bedroom furniture is in darker colors – not the lighter oak color we were seeking. We also discovered that most of the furniture – dining room, living room, and more – has dark wood and is in neutral colors. I understand that is ‘the trend,’ but how depressing!! My husband thought that we should put dark, fake rock on our bedroom walls, add some of the dark furniture and neutral bedding, and pretend we were living in a cave! We also know that the trend is for neutral fabrics – having owned an upholstery shop for almost 50 years. However, we’ve seen many trends over the years – with our least favorite being the oranges and olive greens of the seventies. And, of course, you can always accessorize – but I still need a brighter, lighter living environment. Buy two dressers and move the ‘old’ dresser into the other bedroom. Then also replace the current mirrored dresser and nightstand in that room. Sell the current dresser, mirrored dresser and nightstand from that room. Cost of such a move: $5000 to $6000. Move the furniture from the other bedroom into the spare bedroom and buy a new set for the other bedroom. Cost: $3000 to $4000. The issue – the furniture from the other bedroom may not fit in the spare bedroom. Buy a dresser that doesn’t match exactly. Cost: $800 – $1200. Recycle more clothes so we don’t need another dresser. For now we continue to look. I plan to visit two more furniture stores this week. If we don’t find something soon, I may just be sorting clothes … again. Any suggestions? Different….sorry..I am trying to type using my phone and it entered my comment before I was finished!!! The sound of each drawer was different. I loved that dresser! Just get a second dresser that is totally different – matching furniture is over-rated!